In the quiet time between Christmas and New Year I had a wander around the assets of the ‘cultural quarter’. 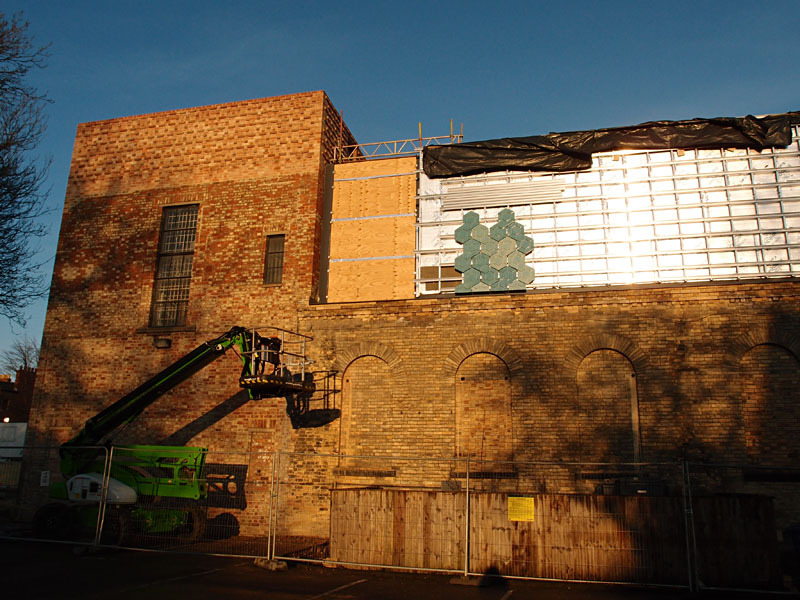 The art gallery and library buildings have both been undergoing major refurbishment. The library and archives building reopened at the start of the year, and the art gallery will reopen this summer. Understandably the internal changes and developments have been the focus of interest. But the external changes are also worth noting, and this detail is of particular interest. On the sunlit side of the art gallery building, from the car park of King’s Manor, these tiles were particularly striking. It didn’t register at the time, but should have done, as they’re based on something very local previously featured on these pages, when we had a wander down the alleys, perusing the paving. 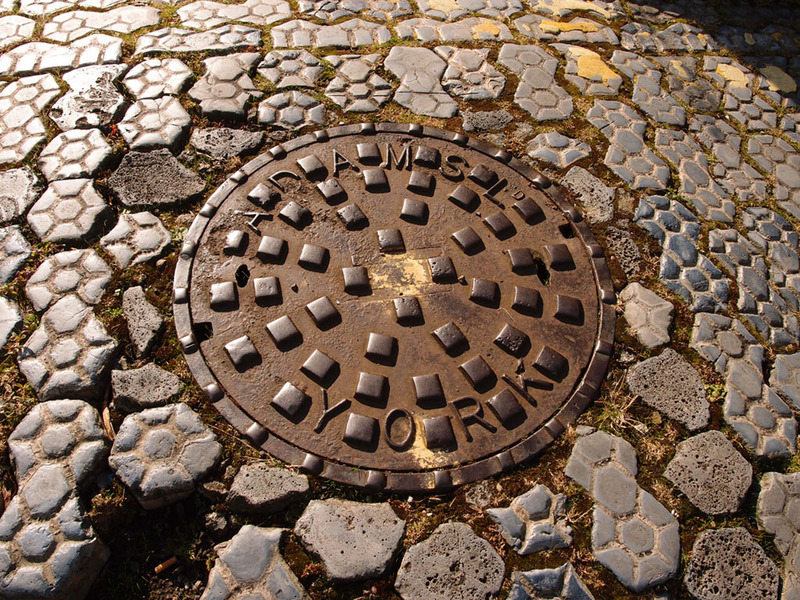 The tiles are based on the stable paviours forming a distinctive and characterful surface in many back alleys and former yard areas in the 19th century suburbs of the city. Apparently the stable paviours in the alleys may have been made from colliery waste brought to the city as railway ballast. (I have no further information on this so if you do, please add a comment.) 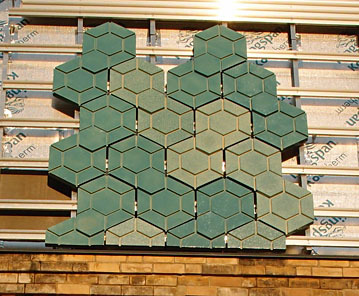 These tiles on the art gallery were made by Shaws of Darwen in Lancashire, though presumably not from colliery waste. There’s also a large expanse of them a stone’s throw from the art gallery, in a car park area behind the properties at the top end of Bootham, between Miller’s Yard off Gillygate and the Bootham Row car park. 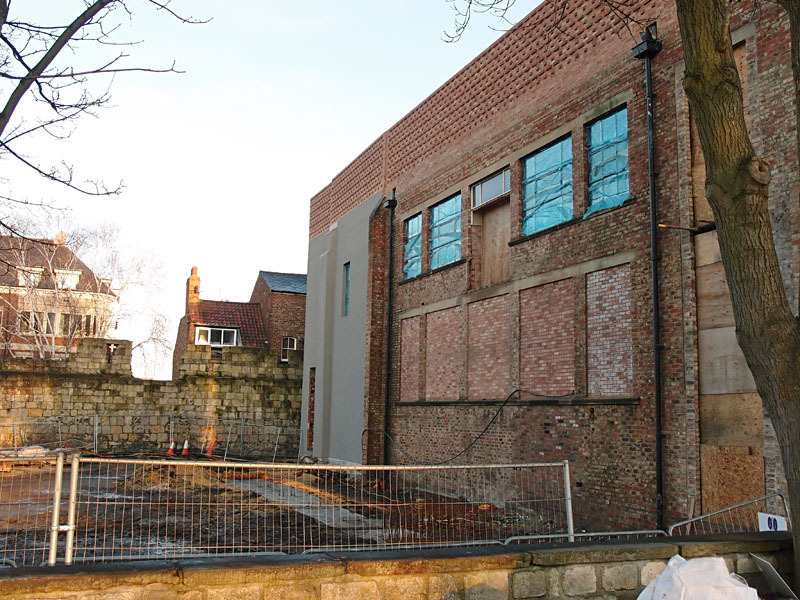 The back wall of the art gallery has changed too, and behind it soon there will be a new garden area where the old hutments (RCAF hostel, later Marygate Centre) used to be.